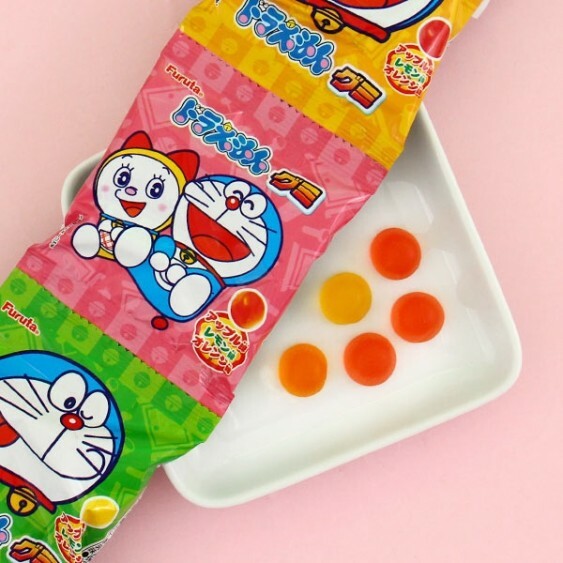 These delicious Doraemon gummies are so soft and fruity! They come in apple, orange and lemon flavor; the candies are round shaped that remind you of Doraemon's bell! In addition, the packages of these candies feature our favorite robot cat from the future and his friends. 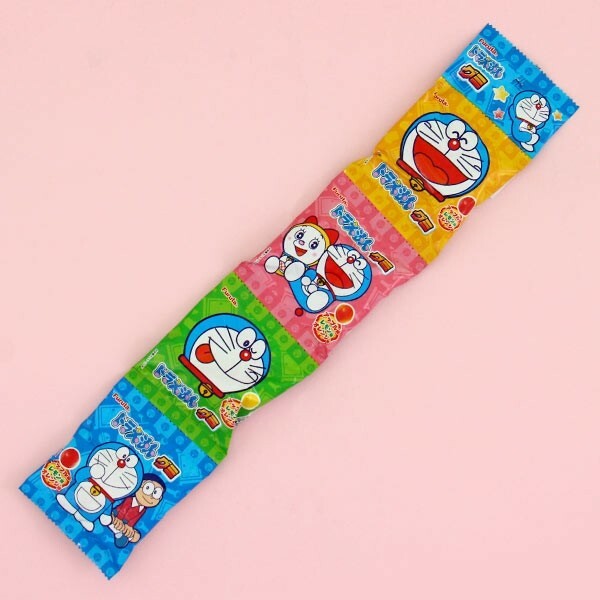 The set includes four bags of candies each having a different Doraemon character printed on the bag. Enjoy them with friends and family!